Italian Pizza Restaurant for sale San Fernando Valley! 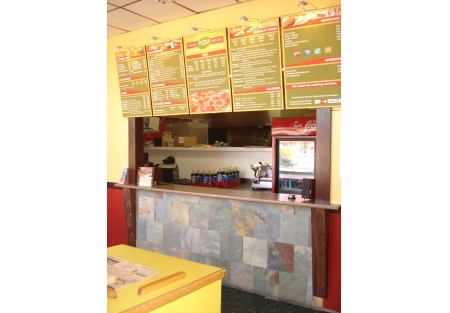 Italian Pizza Restaurant located in High Traffic Area in San Fernando Valley! Selling Restaurants is proud to present this Italian Pizza Restaurant is located in a busy strip mall off a high traffic intersection in the San Fernando Valley. This restaurant location has been pizza/Italian for over 17 years and offers pick up, delivery and sit down. Current owner has well established catering accounts for local schools and large businesses. Hours are extended Friday and Saturday for local College students. There is approx 1100 square feet and seating for 12 inside with seating for 4 outside and the potential for more. There are 12 parking spaces and rent is only $2,703 per month including CAM charges. The lease has 4.5 years remaining with a 5 year option. The seller is relocating out of the area. Please select one of the bright orange buttons below to get the name and address of this business along with more photos. It requires one to register, which costs nothing. All that is needed is an e-mail address, name, address and phone contact to register. It is as simple as that!This is a a Paramount Restaurant Brokers, Inc. listing. Italian Pizza Restaurant is located in a busy strip mall off a high traffic intersection in the San Fernando Valley. Pizza location for over 17 years. Offers pick up, delivery and sit down. Established catering accounts for local schools and large businesses. Seating for 12 inside with seating for 4 outside and the potential for more. Rent is $2,703 per month including CAM charges. Lease has 4.5 years remaining with a 5 year option.